When Has Picky Eating Gone Too Far… Is it Something More? Parents that are living in this extreme stress are often wondering what to do to help their child eat, and a solution seems unattainable. But, there is hope. 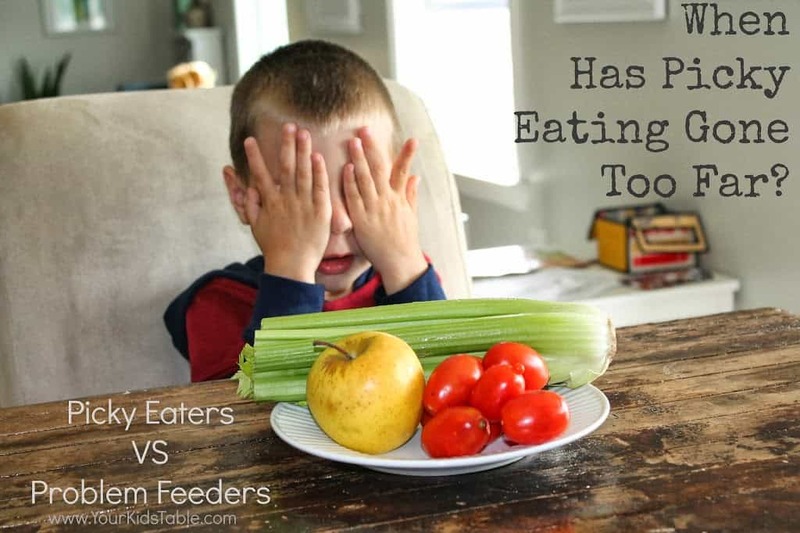 I know because as a feeding therapist (and mom) I’ve seen many extreme picky eaters overcome it and grow to have a healthy relationship with food. 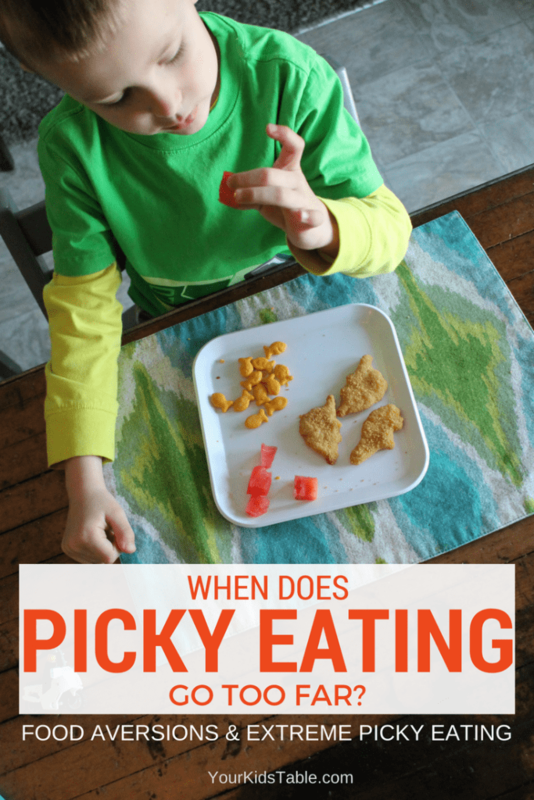 What Does Picky Eating Mean, Anyways? What does it really mean to be a picky eater? 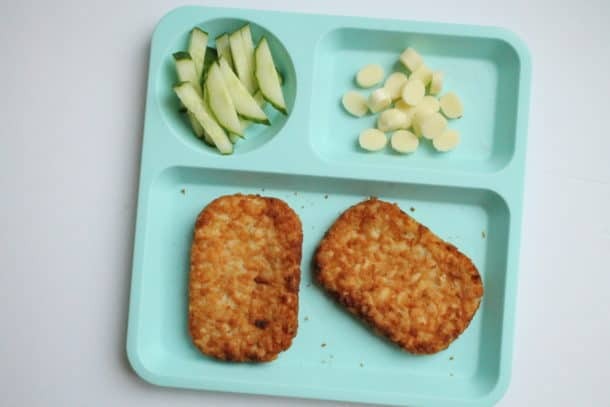 If you scroll through the comments on various articles on this site, you will find a range of picky eaters from parents looking for advice for a child that is refusing several vegetables, to one that has a seemingly overactive gag reflex every time they even look at some foods. Surely, all of these kids can’t all just be picky eaters, or can they? Hardly. It’s actually more accurate to think of picky eating as a spectrum. On one end of this spectrum is the average picky eater, that eats a decent variety of food, but can be particular at times. Most families don’t really notice a disruption to their lives with this mild version of picky eating, even though it can be annoying at times. On the other end of the spectrum is extreme picky eaters or children with a “picky eating or food aversion disorder”. I’ve seen both in my own home! When my second son was born, as soon as foods were introduced he gagged and didn’t show an interest. While that can be normal, it persisted. He seemed to have no interest in eating. He definitely fell on the more extreme end of picky eating. I had to use some more targeted strategies and a lot of consistency to turn him around. See had underlying sensory issues with food, and this picky eating thing just wasn’t going to go away on its own. You can read about how I got him to go from being a child that won’t eat to one that has a healthy relationship with food. Totally on the other side of the picky eating spectrum, I’ve watched both of my other two kids go through what I like to call “normal” picky eating. In fact my two year old is in it right now. This morning he can down for breakfast and hardly ate his favorite breakfast. A few months ago he stopped eating yogurt, but for the most part he has a well rounded diet. When Does a Child Actually Have Some Type of Food Aversion Disorder? There a lot of different terms coined by different researchers and practitioners to describe a child that eats very small variety of foods. The SOS Approach to Feeding, by Kay A. Toomey, uses the term problem feeders. And, authors Rowell and McGlothlin, in one of my favorite picky eating books, Helping Your Child with Extreme Picky Eating, use the phrase extreme picky eaters to describe these kiddos. You’ll also hear, picky eating disorder, food aversion disorder, food phobia, neophobia, selective eating disorder, and well, the list goes on and on. To be honest whatever word you use, there isn’t consistency among professionals like pediatrician’s and feeding therapists using a diagnosis, even though Avoidant/Restrictive Food Intake Disorder (AFRID) was added to the DSM-V (that’s the guide doc’s use to give diagnoses). Even though you may have never heard of any of these terms, the distinction between average picky eating and the more extreme food aversion is important. Generally speaking, picky eating can be a normal part of childhood, albeit annoying and frustrating. Selective eaters are beyond picky eating and usually need the help of a feeding therapist to make progress eating new foods. In these cases, eating is actually a serious problem for the child and can have a big impact on family life. On top of that, general feeding advice often doesn’t apply to these kids! Besides parents feeling frustrated by that, they often have to deal with well-intentioned, but vastly incorrect comments about how they just need to give their kids some tough love when it comes to eating. Have you heard the advice, “Just feed them what you’re eating and they’ll eat eventually, when they get hungry!”??? That may work for some kids that fall on the milder side of the picky eating spectrum, but for kids with food aversions it could be disastrous, even leading to a feeding tube. That may sound dramatic, and although it’s unlikely, it is possible. I want to get really clear about the definition of an average picky eater and one of a child with more extreme picky eating. My hope is that it gives you some peace of mind, and answers the ever nagging question of your child needing more help! Eats 20- 25 foods on a regular basis. Eats at least a few fruits/vegetables, carbs, and proteins. Bribes, rewards, and punishment will often work. Usually will eat foods similar to their favorites. For example, will eat a variety of chicken nuggets or pizza, they will typically not reject different brands or styles. Sometimes eats foods different than the rest of the family. Eat less than 15 foods consistently, maybe as few as 1-3. May gag, shudder, or vomit at the site or taste of foods. (Just like my second son when he started eating). Common picky eating strategies like the “try a bite” rule and punishment often don’t help them to eat more or new foods. May become emotionally upset when a they are encouraged to interact with non preferred foods. Might lose weight or have growth concerns. May insist on foods being preferred in specific ways or will only eat a specific brand/style of food. Almost always eats food different than the rest of the family. Will suddenly refuse a food they previously preferred and never eat it again. May only eat with distractions like a tablet, tv, or toys. The SOS feeding approach has a great printable here of the differences between picky eaters and problem feeders, and it includes some of the characteristics on this list. 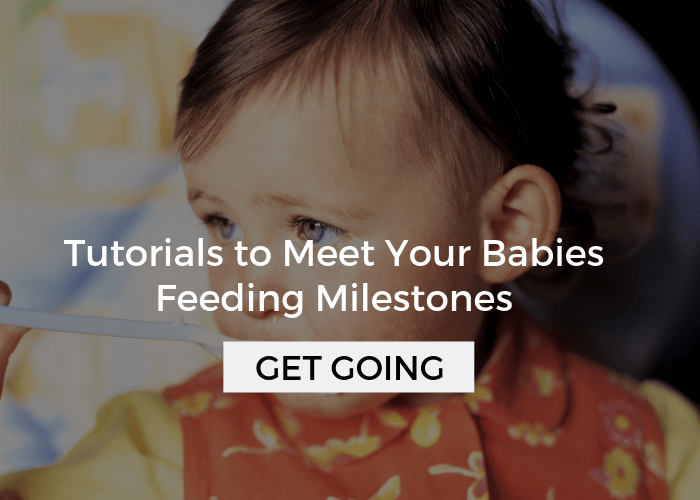 Please, keep in mind that the lists above are just guidelines and if you aren’t sure where your child falls or you feel confident they are an extreme picky eater, consider having a feeding evaluation (click that link for how to set it up in your area). Usually, that is completed by an occupational therapist, like myself, or a speech therapist. If your child is under 3 and in the states, you should qualify for a free evaluation. 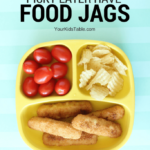 I will say this, the one piece of advice that will not work with an extreme picky eater and that you will never see here on Your Kid’s Table is to: serve your kid what your eating and they will eventually get hungry and eat. This is a huge myth and many well meaning people love to dispense this advice: Moms, Grandpa’s, neighbors, and friends that haven’t had a child with sensory food aversions or extreme picky eating. Many kids with picky eating disorders will NOT eventually eat, they will end up in the hospital because they are starving. Fortunately, parental instincts tell moms and dads this and they usually don’t try or give up on this approach quickly. That isn’t to say that picky eaters should be allowed to rule the roost, either. In fact, I believe there’s a few keys to create a balance between parents setting up healthy boundaries and kids being treated respectfully, all while helping them to eat more foods! Want to know what they are? Then, grab a free spot in my free picky eating workshop for parents right here! It’s perfect for helping you with the average or extreme picky eater! Hi There, My son is 3 and a half years old. He eats around less than 5 foods, no fruit, no meat, no chicken, no veggies… although he used to eat chicken. I’m based in South Africa, please advise what I should do and who I should take him too? I have a suspicion it has to do with his tonsils… although I’m not positive. I know his tonsils is a problem though. Do I take him to a dietician? A dietitian may be able to help, just make sure that they also are able to advise with feeding, not just nutrition. 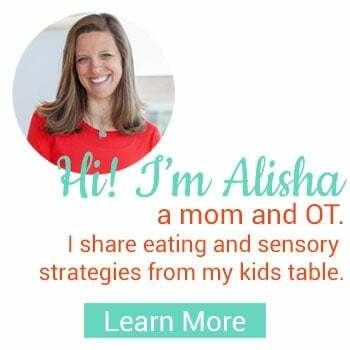 I’d also look into an occupational therapist, like myself, or speech therapist – as they can specialize in feeding. However, tonsils can play a big role as well, and having a GI doctor look at him would also be helpful! I hope that helps!! My son is 10 and his eating habits seem to fall under extreme. He is a adhd, odd, mood and anxiety disorders. He naturally loves sugar and i have cut most of that back but he refuses to try new foods only likes things made a certain way. I have a hard time having a relationship because I get told my son is spoiled or picky or out of control. I really want the best but have no clue how to change him. Oh Ashley, I’m sure this is so hard, and I’m sure you’re doing a great job. Any of those diagnoses are challenging and yet he’s facing so many of them. Most people don’t understand:( If you feel like picky eating is a major concern right now, one resource I have is the free picky eating workshop. You can watch it here. Absolutely not Amy! He’s absolutely old enough to go to feeding therapy. 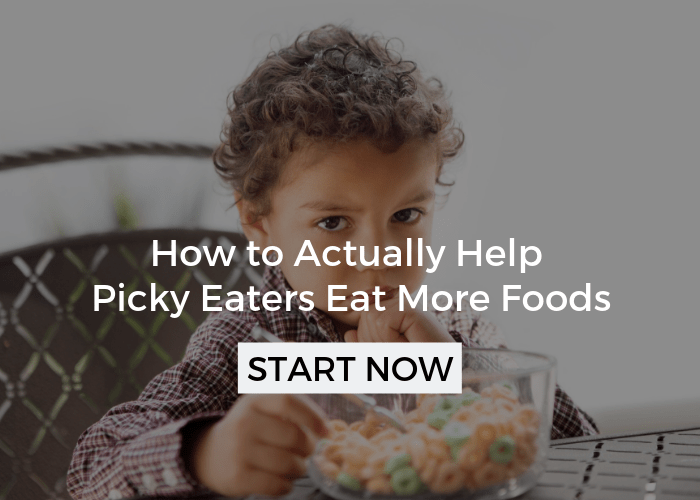 I’d look into that, but also check out my free workshop, I teach you three critical strategies that every picky eater needs to start eating new foods. You can sign up here. What about a 9 year old problem eater? She has only recently come into my life, no one has ever worked with her on this and recognized it as a problem. Her list of foods is easily under 10 items and she is painfully thin. What are the chances of teaching her how to have a health relationship with food at age 9? Yes, definitely! It may take a little bit longer, but it can definitely be done. I’d start here with my free picky eater workshop! My daughter is 15 and I despair of her ever eating like a normal person. She still eats like she did when she was 5. Her pediatrician kept saying her taste buds would change when she hit puberty, but they never did. I’m at the end of my rope. It’s not too late to look into feeding therapy, but you’ll have to look for someone that specializes in teenagers. 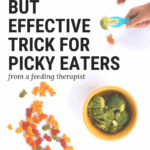 I’d check out this post on feeding therapy, as well as my favorite book for extreme picky eaters. I registered for the Alisha Grogan’s 2:00 pm webinar, but never received an email with the link. Oh no Karen, sorry I’m just seeing this. Did you end up getting through? Link to basic strategies to eating isn’t working. Would love to check it out if still available. Fixed it Andrea, thank you! Thank you so much for this post!!! I see it’s a few years old and I wish I had found it back then. My daughter got really sick on me when she was 11 months old with stomach issues for 3 1/2 weeks. I was told that it was probably a stomach virus that lingered in her because she was so young. She refused to eat baby food, or table food. All she wanted was her formula that lucky was soy based. She was not a picky baby before that and after that it was like she was tramatized, if we offered food she would go for it then before she grabbed it she would reacted with a sick look in her face and shake her head no, sometimes even have a phycial reaction like the shivers. Dr kept telling me it was her being picky and to just let her be that she will eat when she was hungry. I would try and after 1-2 days I would couldn’t stand doing it to her. As she got older she got worse, they told me to do the same thing and to be tough. I would try it and it was heart breaking having my 2 year old tell me “mommy I’m hungry” but not be able to eat what I laid out for her. I tried different shapes, sizes, bribes, treats, tough love, nice and compassionate and nothing worked. She only at 5-6 foods and at times would get sick of them herself from eating them so much. She was sent to get evaluated last year with a problem called birth to 3 that does therapy including feeding and they said she was to advance in everything else and didn’t qualify under the eating spectrum. They said I was doing great and to keep doing everything I was doing. That it was probably one of those times that I would have to wait for her to grow out of it. They felt so bad for me, they said because they felt like there was nothing else they could tell me to try that I had not done already. Since then my daughter started to have bowel issues. She couldn’t go for Day the most a week and a half and then would scream bloody murder then she would finally go these monster size movements. They finally sent her to a GI specialist in December of 2016 (she’s 3 now) and he’s telling me the same thing the pediatrician was. They have her on miralax and laxative to help her be regular and want her eating more. He told me to go “old school” and take everything she eats away and she “won’t starve herself” she will eat. I feel like a bad parent either way, because if I don’t do it I’m enabling her bad habits and it’s harming her system and if I do it she’s starving herself. For the past two weeks I have been trying the “tough love” and my daughter won’t eat. She cries constantly, I have tried everything from bribes with toys and food, being nice and loving to being tough and taking things away. Every fiber in my body is telling me this is doing more harm then good and after reading your article I was right. I’ve tried to force my daughter to taste food and she will cry for 20-30-40 mins and when she finally takes a bit she gags and throws up. She is literally starving her self and I’m scared to death she’s going to end up in the hospital. I’m so lost and glad I found your article! She’s has an evaluation with eating therapist the 22 of march and it could not come fast enough at this point. Thank yo again for this article, and the work you do with children and families! Hi Darleen, I’m so sorry for the struggle you’ve been though. Its one I’ve heard so many times! I’m so glad she’s getting an evaluation, that should be really helpful. Thank you so much I will definitely looking into both link. I gave her back the food the next morning and she’s been so much happier and has actually had a crazy appetite.. she’s trying to eat everything she can from what she eats. I am doing all the research I can do I can go in prepared and with information also to present to her pediatrician and her GI specialist. Thank you again for sharing all this information! I finally feel like I have answers and I was right that my daughter had something else going on then just a typical picky eater. That’s wonderful Darleen! I’m so glad to here that, truly!!! I’d be cautious with serving the same food again, just so it doesn’t seem like punishment, but if its working then great! Let me know how everything progresses! Reading through this made me realize we have gone beyond picky to problem with my 2.5 yr old autistic son. He will not eat any kind of dip or sauce, he will not eat rice or noodles or veggies… let’s list what he will eat, American cheese cut inton6 pieces, mini pancakes, peanut butter jelly sandwich but only if he makes it and no jelly ever leaks out whole, chocolate cake donut holes but will hold in his mouth for an hr at least, gummy fruit snacks, banana bit must be whole, clear liquids in sippy cup only, his special formula milk, cookies, crackers unless it breaks then it gets crushed, on occasion a bite of a dino nugget, randomly hashbrowns and scrambled eggs maybe 1x a month. That’s it folks. Oh my Kimberly, I totally hear you, I’ve worked with so many kids in similar instances, truly! 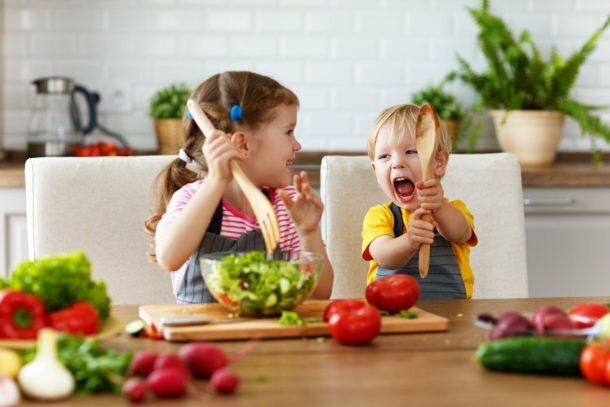 To be honest, I’d get a second opinion and take a look at this post: 5 Reasons Kids Don’t Eat– you are familiar with a lot of these, but it may give you some new insights. I also have a comprehensive picky eating online course, that I cover everything you just mentioned. You can look at that here. Let me know if you have any questions! Yes! This is what I hear all of the time when I tell someone about Liam only eating PediaSmart via bottle. They say, “I know how it feels to have a picky eater.” Well, yes he is picky but he also has other stuff going on sensory related and possibly behavioral related. He will be 2 next month and has JUST now started to put toys in his mouth. He will take pureed foods on a very rare occasion and sometimes a strawberry banana smoothie via bottle. We’ve been in OT since he was 13 months old and are trying to do more feeding therapy. He is being assessed for Autism as well. Any input on an inpatient feeding program like at Kennedy Krieger? I’ve heard good and bad and am wondering if this would potentially help my son. He has other developmental delays like speech and oral-motor for sure. Hi Olivia, yes, you have your hands full. I have had treated kids like your little one. I think an inpatient can be really helpful, I’m not particularly familar with KK’s program. But, I know it isn’t for everyone. I know this is going to sound cliche, but it is true- what is your gut telling you? Get more info, a lot actually, take a tour if you’re able. If you don’t go that route, go to outpatient feeding therapy 2x a week, if you’re able to and have in-home 1-2x a week. These therapists need to be solely working on feeding. It’s fantastic that hes putting stuff in his mouth, encourage that often! Thank you! Our OT that we have private is 100% focused on feeding. She went to a great training class and learned a lot of techniques to encourage him to do things with food. He will play with any texture and doesn’t seem bothered but it NEVER makes it to his mouth. On the occasion that he does put it at his mouth, we can’t see him do it or he will stop. We are working with the county program to see about getting some behavioral motivations for him but we shall see. He doesn’t talk either so that makes it hard. We’ve been tested for EOE and other things and all have come back okay. We are on the waiting list for KKI and shall see how that goes. Thanks for your input. Hey, I have a just turned 3yr old preemie (3lb 9oz) at birth NICU 2 MONTHS.She has been hospitalized many times with respiratory issues,RSV and pnuemonias many times,with RSV, a NG tube feeding was a must bc she was starving n not eating or drinking.The last 6 months she has evolved into a problem feeder.She is on Zantac for Acud Refux meds but WILL NOT EAT AND STARVES,IM LOST AND SO SCARED THEY WILL RESORT TO A G OR PEG OR JG TUBE AND THAT WILL BE AWFUL,SHE ALSO SLEEPS SOOOO MUCH…..WHAT COULD THEY OR I BE MISSING…PLEASE HELP,ITS BECOME SERIOUS AS TO LIFE ALTERING/THREATENING. Hi Alisha, thanks for this informative article. For further clarification, I’d like to understand what these numbers of food that kids eat mean. Are these numbers based on a certain food or a dish prepared with it? For example, my kids eat potato salad, baked potatoes and french fries, does that count as 1 food or 3 foods? Or for example they love tuna pasta with pesto sauce, does that count as 1 food, or does it count as 3 foods (pasta, pesto sauce and tuna)? My other questions is: what is then the definition of normal eater in terms of the number of items which I know is not the only criteria but still curious. Hi Ahu, that counts as 3 foods! ANything that is different, no potatoes in general. I would try to expand on the pasta and maybe to the same pasta but with salmon or chicken or another type of fish. You know I don’t have an exact number for “normal eaters”. My guess is, it would be over 40 foods. Don’t caught up there though. If you are over 20-25, your kids are doing great. Keep exposing them, keep it positive, encourage experimentation and messy play. Have them help you prepare food. I understand that this is correct in some instances, but each circumstance is different. My 8 year old daughter is a problem feeder, but it is also self induced. She knows she don’t get away with it with me, however if mom is home she don’t eat anything she don’t want and she knows it. I can cook something for lunch when mom is gone and she will eat it with little to no complaining. I could make the exact same thing when my wife is there and she will gag before she even gets it into her mouth. If there are any people around she will make a complete spectacle of it. Yes I’m sure there are mental problems but just remember there is just the spoiled child also. Hello, I just found this website and I would love to hear some type of advice. I have a 9-year-old daughter, she’s always been a problem eater but for the last two months it just got worst. She only eats French fries and soup (Mexican style). I am taking her t two doctor her regular pediatrician and another doctor in Mexicali. So far all the testing they’ve done comes out negative, telling me that is more mentally. Decided to take her for a psychological examination and is receiving therapy but she continues the same. She can last up to three days without eating telling me and crying over saying that even what she liked before grosses her out. I don’t know what to do, I am in a moment in which I am so concerned that I keep Reding articles trying to get more advice and haven’t been successful. I’ve been told that it might be something seasonal but this is moving on to three months, she only weighs 50lbs and its justo si overwhelming not knowing what to do. Whatever advice i can get will be great. Thanks!!! Hi Maria, I totally understand how stressful this! I would highly recommend reading the book, “Help for Extreme Picky Eaters.” If you look in my menu bar you will see the article index. Click through there and look for a full review of the book. Also, take a look at the eating basics tab, and start making those changes. Take a look at some of those resources and let me know if you have more questions! I am so grateful that I stumbled across your website. My son is 3 years old and he is most definitely a problem feeder. He was diagnosed with failure to thrive when he was 7 months old and getting him to gain weight is such an uphill battle and we struggle with it everyday. I have talked to so many doctors and I constantly hear the same things and there has been no strategies that have consistently worked for us. Meal times are always a struggle and if I try to get him to eat what my husband and I are eating he will refuse to eat. I can’t help him gain weight if he won’t eat! He is so picky about what he eats that I am at a loss as to what to feed him at every meal. I just don’t know what to do anymore. Do I just feed him what I know he will eat or give him new foods that I know will end up in the garbage? Often times when I put new foods on his plate with some of his preferred foods he will refuse to eat anything because he doesn’t wan’t the new foods. Do you have any strategies to help with that? I am going to try to and find an OT who can help us but I would really love and appreciate any tips if you have them! Hi April, as you can see from these comments, you are not alone! I know this site can be a bit overwhelming with the amount of information, but I would begin to go through it. You will find lots of information that will be helpful. I would also recommend the book: Help for Extreme Picky Eaters (You can find that by clicking on the article index in the menu bar). Generally, I can tell you to just take the pressure off him, just let it go. But, require that he take some of what you are eating at the meal, have him serve himself and allow him to take as little as he wants. Try to keep non-preferred foods small, thin, and crunchy, obviously you can’t do this with everything. 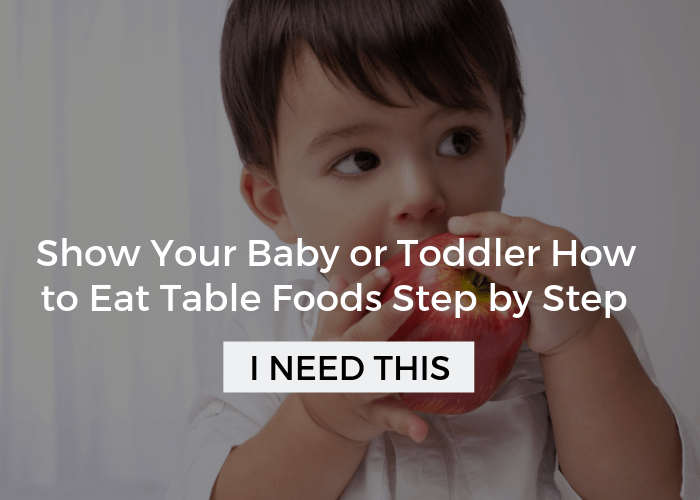 Allow him to eat what he wants, but keep a tight schedule and don’t allow snacking at any time. Space meals 2.5-3 hours apart, with nothing in between but water. I have written about all the tips, a lot, and you can find in various articles. Wishing you the best, let me know how it goes. Hoping you got notified of the above comment, April. There was a little glitch with my response system. Yes I did, thank you! And thank you again for all your help! I can’t tell you how excited I am that I have found your website! I have scoured the internet looking for a good resource to help me with my full-blown problem feeder but nothing I found really applied to our struggle (until now!) I worry so much about my little guy who won’t eat one single vegetable or ever eat what we are having for dinner. The only meat he likes is breakfast meat (bacon and sausage) but he loves anything snacky (crackers, pretzels, etc) as well as bread (plain) and some fruits. He goes to OT but and will occasionally try something new there but then I can’t get him to eat it at home. He has also regressed and will no longer eat rice or peanut butter. I am going to start going through your website but if you have any tips you can give me or links that you think would help me I’d appreciate it so much. Thank you! It can be hard sometimes to bridge that gap between therapy and home. I would recommend reading “exploring new foods” and “picky eater tip: expand on what your child is eating”. They can both be found in the article index in the menu bar under picky eating category. Also, see eating basics in the menu bar as a good starting point. Let me know if you have any questions after looking around! I will read those, thanks so much 🙂 ! My child is no doubt a problem feeder. I said yes to all of the bullet points. We have had this problem since she started eating table food and she is now 3. I called her pediatrician last week to get a referral to see a feeding therapist and he denied the request. He says she is a healthy weight and has a healthy BMI. I agree she does not look unhealthy. However, she only eats 5 things and I supplement her diet with an organic drink like pedisure. We have a well baby appointment at the end of the month and I plan on talking to him face to face about this. I would like to be as prepared as possible. Do you think healthy weight is a reason not to be concerned about this? Any advice you can give would be great. Thank you! Oh Lindsay, I am sooo glad that you reached out to me. I am so disappointed to hear a doc say this, but I’m not totally surprised! I strongly disagree with this opinion, and would really push for it when you see him in person. If he still won’t budge, I would consider finding a new doctor. I know that may seem harsh, but her getting treatment is that important. I would also recommend pulling my website up on your phone or printing out the page you read. Let him know I’m a licensed, practicing OT, and this isn’t some random opinion you found. She may be a good weight, but her eating is in a bad way that could get worse. Doctors, aren’t trained in feeding, and often don’t know how to respond otherwise. Let me know if I can be more help! For 6 and 1/2 years I’ve been told my child is a just fussy eater and we need to either not worry about it or try harder to get him to eat. Reading this makes me want to weep with relief. I knew it was more than that. Even as a baby he wasn’t interested in food and often gagged. His whole life he’ s gone through stages of eating only about 10-15 foods and then one day suddenly refuses a food and it’s banished forever. At almost 7 he eats toast (one type only), eggs (scrambled only), one type of chocolate muffins, banana bread, most meats (thank goodness!) but they have to be cut up, banana milkshake with almond milk and pizza. I cook almost everything from scratch and we’re always offering new feeds trying to add nutrition to the foods he’ll eat, I always feel a bit slack that we do let him fall back on his safe foods. On advice from others we’ve tried cold turkey, but after two days I was the one to call it quits, not him. Thus was he’ll fir our entire family and we’ll never consider it again, I am still furious with the ‘expert’ who (mis)guided us through that process. He’ll often go to bed without tea if he doesn’t like it. He’s at full time school now but refuses to tea at school (doesn’t like cold foods and won’t eat eat foods when I took time off work to deliver then). Gluten gives him terrible leg cramps at night so he’s been off that for 3 years which has helped a lot with his mood. While he refuses must foods he spends most of his day telling me he’s hungry. Any ideas would be so gratefully appreciated! I wish you lived closer! Sorry off all the typos should read ‘he refuses to eat at school’, ‘the cold turkey was hell for the entire family’ ‘won’t eat hot foods delivered’ and ‘refuses most food’. Oops! No worries on the typos! I’m glad that the article gave you some comfort, because I can assure you that you are certainly NOT alone. If you haven’t had a chance yet I would start looking at the article index in the menu bar under picky eaters. You will find a lot of help there. Also, I’m available for consults world wide via skype, phone or facetime- find more on that in the menu bar, too! I wish I had a simple answer of everything that will help your son, but it is usually more complicated. The basics are making sure he has one safe food at every meal, but having him serve himself some of the other foods (any amount and he doesn’t have to eat). Try to make meals positive and as no pressure as possible. Let me know if you have questions after looking at everything! I appreciate your insights. I don’t have problem eaters, but my 3 year old (who has always been a good eater) will do just about anything to skip real meals and get by on his favorite treats right now. It’s frustrating. I wonder if you have any answers to this question–there are many children in the world who don’t have access to the vast variety of food American children do. (Even some American children don’t get enough to eat.) Do these children starve themselves because their parents can’t always provide their “preferred foods?” Is picky/problem eating a cause of sickness and death among less privileged populations? I’m not asking this to demean the difficulties of feeding children. It is a question I have pondered many times–is picky eating a first-world problem, or does it have just as much presence among children whose diets are very limited? My own food budget is very tight and I’m just grateful my kids don’t have preferences that I can’t afford! Hi Carolyn, you know you are bringing up something I have thought about many times. I will tell you that I have received questions and scheduled consultations quite often in Europe, Australia, and Asia. I think that the picky eating nation does seem to have some cultural tie-ins. This is just my opinion, but I think as Americans we have a lot of issues around food. I doubt that in third world countries this is as much as a problem because those cultural issues would be non existent. For those kids with real underlying issues, maybe some do die or their families overcome it in some way. Unfortunately, I don’t have any data on this! I have to agree that we have issues with food in America! There is such a barrage of advice on what not to eat and what to eat, lest you die, that it seems the only “safe” route is not eating anything. Thank you for your response. I have had friends and family who really struggle with their kids eating, and allergies too, and I am glad there are people like you who give their time to help. my son is 3. He has never been adventures when it comes to food. Everybody tells me he’ll grow out of it, but I’m not so sure. He’ll eat red rice, cereal, yogurt, breads. The only meat he eats is mcdonalds chicken nuggets. I can’t put anything on his plate but what he likes, it grosses him out. He’ll just sit there and cry. I’ve tried the “you can’t have anything else till you eat this”. He’ll just not eat at all. His ped said he just needed some tough love, but that’s not working. Should I see an OT or just hope he outgrows it? I’m glad I came across your website. I have a 3 year old that we have been struggling with since around 15 months when it comes to eating. It seems like out of nowhere he suddenly became extremely picky about eating and then it has just worsened as time goes on and according to your list I think he may be a ‘problem eater’. He refuses all meats, baby carrots and broccoli are the only veggies he will eat, he does pretty good with a variety of fruits, will drink milk and eat yogurt but refuses cheese, will eat bread or toast with PB or cream cheese and likes cereal but won’t eat other carbs like tortillas or any kind of noodles and he has very strong reactions if he does actually taste something new (he will gag and become very upset once it’s in his mouth). He also will only eat peanut butter and jelly sandwiches for lunch. He does the best with breakfast in terms of variety. Dinner is usually a complete loss and he’ll refuse it altogether most nights. I feel bad because I have definitely let my stress and frustration about his eating show which I know doesn’t help anything and I’m beating myself up that my battles over food with him have made him worse. I always end up just giving him some healthy snacks before bed (like apple slices or banana with peanut butter or some whole wheat crackers) but I don’t know if that reinforces him not eating dinner. I just feel so terrible putting him to bed without something in his stomach. Sorry about all my rambling, I am at a loss about what to do at this point. Any suggestions?? I totally understand your frustration, it is so hard!!! I would look at my eating basics in the menu bar and see the posts I suggested at the end as a starting point to start implementing some specific strategies. Also, if you have insurance he would be able to receive some feeding therapy. There is no pressure but I’m also available for consults- see the menu bar. As for the snacking before bed it is okay if it has been at least 2 hours since dinner, also make sure there is always something at dinner that you know he likes- it can be just one thing. If he doesn’t eat it, that is one him. It is true that he will learn he doesn’t have to eat dinner if he knows a snack is coming soon! Alisha, my 7 1/2 year old ate evrything I put in front of him as a baby and toddler. Fruits, vegetables, small amounts of meat, fresh baked bread, gluten free items, nuts seeds, if it was healthy he was shocing itbin his face. Then around three, I began letting him stay at his grandmas house. She fed him chocolate milk, freezer pancakes, buckets of ice cream, donuts (she evn called ahead to the bakery so that his favorites would not be sold out) spaghettios, well you get the picture. Also, my older son who was about 7 at the time began gaining weight like crazy. The younger all but stopped eating at ALL. I could not figure out what was happening! My MIL made the boys swear not to tell me about the “fun goodies” or they wouldnt get them anymore. It would be two years of diarrhea, weight loss for one son and weight gain for the other before I figured it out. Grandma was junk fooding my kids to death. We are still working hard to recover. Both boys were diagnosed with a milk allergy so theres where the diarrhea came from. The youngest refused to eat at home and passed out in the bathroom. He then realized he had to eat something and it was chicken nuggets. He still refuses fruits and veggies except apples without skin and baby carrots. He was eating watermelon and now says no thanks. Every day is a struggle thanks to the selfishness of one person. If there is anyonebout there who child is struggling and you cant figure out why, start investigating their diets when away from home. It might just save your childs life. Oh my goodness, what a terrible situation. I hope you can find some helpful tools here. Thanks for sharing your story. My mother does something similar and I cant get her to stop. My almost 5year old son weighs only 36lbs and i feel that anything that we can get him to eat should be highly nutritious. She thinks calories are calories and doesn’t pay any attention to the nutritional value of the food. My younger son just turned two last week and is 30lbs. I am trying to keep him from turning “picky” too. Hello, my son is borderline picky eater/problem feeder. He will eat any type of bread, noodle, carb. He is a carb a holic. I can’t complain too much though because he still eats black olives, applesauce, yogurt, raw carrots-not cooked, corn, grean beans, peas, and pretty much any kind of bean minus refried. He will not touch meat, chicken, sausage, brisket whatever kinda meat you can imagine. He will eat chicken nuggets, but not chicken strips-because when he bites into it, the white strings as he calls it are all stringy and he thinks its gross. So, do you think I’m alright with what he does eat? Should I be thankful he even eats that? I myself have texture issues, so I get it…But. I also feel like his food is the only thing he can really control in his life, so he pushes it to the extreme. Usually every single meal I have to make him something different. Its a pain! Help! He does have a decent variety of food and meat is notoriously difficult for a lot of kids. I actually have a post devoted completely to that, which you can find in the article index in the menu bar at the top under Picky Eaters. I think you’ll find a lot of helpful tips there. I would strongly recommend setting up a meal and not catering to him. Try to eat together and have one food you know he will eat at each meal. Let him know that if he doesn’t eat that is fine, but he won’t be having anything until the next meal. I cover a lot of this in Eating Basics in the menu bar. If you can make the changes I talk about there it is very likely you will see some nice progress. I do totally agree with you about the control, which is why it is important to not let meals turn into a power struggle. Let me know if I can be of more help! Thanks Alisha. The list of foods my son will eat just grew now that I know each type of deli meat, or yogurt flavor he eats counts individually. Unfortunately I cannot bake the peanut butter into anything. When they do testing he has to consume 1/4 tspn of pure peanut butter 4 times througout a 1/2 day testing. I am currently trying soy butter and sunflower butter on diff types of crackers/breads, but with no luck. Right, I know they want you to get that amount in, but with a picky eater that can take time. I know it won’t help for their specific test, but it would still give you good information if he eats pb in any form. Using it in cookies and breads will help him get used to the flavor. Also, have him help you cook with it- a severe reaction would show up if even touched it. This will also help him get used to the smell and texture and closer to eating it. Keep trying consistency is the key. I have a two year old son who most classify as a picky eater including his pediatrician. However, I am not so sure. When your describe of 20 vs 30 foods (problem vs.picky), does deli meat count as one type or would diff types of deli meat classify individually? He was diagnosed at 1 to be severely allergic to eggs and tested positive for a nut allergy (both a RAST and Blood test). This Jan he took the peanut component panel allgery test and the results came back negative. Our allegergist wants him to do a food challenge, but I know he won’t eat peanut butter and am trying to get him to broaden his pallet so we can get real answers to his allergy. Any suggestions? The Allergist is afraid the longer I wait the more harm I am doing to his possibility of outgrowing his peanut allergy. Every individual food is counted as a specific type and goes towards the total, BUT if you have more concerns I wouldn’t hesitate to get a feeding evaluation and get another opinion. Pediatricians are in a tricky position with picky eaters- they don’t have a lot of training in this area and see kids all day long that aren’t eating well but seem to be growing. I have seen so many kids that desperately needed help and it was delayed because a doctor said they would grow out of it. As for the peanuts- will eat a peanut butter cookie, cupcake, or the sandwich cracker? Some trace of pb just needs to be in the product as a first step. I loved reading your articles. It an certain I have a problem eater ohand. He wasn’t always like this though, as a baby he had a huge appetite and loved eating off my plate. At 6 month, he got dysentery resulting in food aversion. I still managed to purée foods and feed it to him while playing and singing. Again at 13 month he got the stomach flu, where he was hospitalized with severe vomiting and dirreoah. There was blood in his stool and the blood test revealed he was anaemic with below normal levels for iron and vitamin D. The doctor put him on multivitamins. However, feeding from that point on has been a nightmare. As a mother, I panicked. Against my better judgement, I started force feeding, using the TV and only giving him puréed food till he was two. Slowly,I started sneaking chicken and veggies in his food while I distracted him with puzzles and crayons. The birth of my second child aggravated his disorder. Now at four, he only eats buttered rice, Nutella with bread and some fruits. He is averse to textures and sauces, even ketchup. The hardest thing on my plate is to feed him chicken and eggs. The food therapist suggested the cold turkey method, but he has gone days without eating. Please help. Oh boy, well, I wouldn’t want to go against something a feeding therapist said, especially since I am not working him directly. However, I can’t think of an instance that I would recommend going cold turkey. I am going to be honest, when you have a problem feeder it takes a lot of time to make real changes. Start slow, with my Basics to Eating Tab at the top of the page. Then go to my article index, see the posts on Picky Eating: Expand What Your Kid is Already Eating and Exploring new foods. I’m not sure of where you are located or if it is possible, but if so I would consider getting a second opinion. There is no pressure at all, but I’m also available for consults, which would allow me to get a complete history and give more specific strategies. Let me know how it goes! I recommend you look into A/RFID. Sounds exactly like it. Oh momma I can relate!! Peanut Butter and jam, some bland pasta and occasionally strawberries…that is all….No meat, Vegetables, sauces of ANY kind…he is 4 and a half. I get so much negative feedback from people who know nothing and need to worry about their own life, not ours. As you can see, I still get all fired up about this!! I’m so sorry that your experience wasn’t helpful either. It sounds like you guys are making good progress, but keep in mind there are good therapists out there that might be a better fit for you and your family. 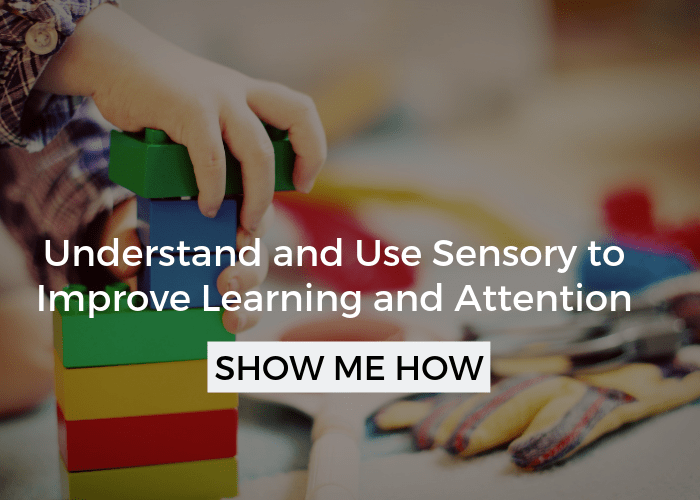 They would hopefully be able to resolve some of those underlying sensory issues. Make sure you check out my Basic Strategies to Improve Eating and the article index, where there are a lot of strategies to improve variety. Thank you for your comment! Thank you so much for finally saying what I already knew about my 5 year old son. So many people tell me to be strict, don’t allow him to get up from the table, give him what is for dinner and nothing else. My poor son would starve if I did this and I try to tell them and they do not seem to understand. People look at me like I’m crazy when I would let him eat oatmeal cookies for breakfast just so his tummy would be full. As he gets older he is more accepting towards foods and he is growing into a picky eater but there was a time around age 3 when popcorn and apples and dry cereal was the menu for the day! The children’s hospital feeding team was no help either he just basically had to grow out of it! Thank you for this article though it was really helpful. Thank you for your comment- so many people share with me a similar story! I’m glad it is getting better and so sorry that the feeding team wasn’t any help. There are a lot of good feeding teams and therapists out there though, if you ever want to get a second opinion.